Soul Correction: Sharing the light. 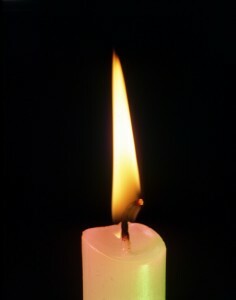 A single candle, though its light is weak, banishes darkness. But it needs to be lit. When you hide your light under a bushel basket so no one can see it: you are doing no one a service, including yourself. Your job is to share your light, and trust that your single light will light up the life of all you touch. You hiding your light is your soul correction: you are stingy and selfish in that. The stinginess masquerades as fear. But it really is a desire for the self alone, and nasty at that. You'd rather not have anything lest you have to share it. As a person you are envious, as a person you are jealous. And outwardly you may even seem generous, but it is a pose. Inside you are closed up, hold your breath, and unyielding in your effort to hold on what you could give. Yourself. Update: You have developed, as a child, a delusional self-image. The self-image of a person who can and should be able to do very big things without effort... much like a fairy tale character. But life is telling you, time and time again, that it takes consistency and persistence to get anything meaningful done and finish... but that you do not like to do. Your experience in life is that you are not moving... that no matter what you do, you can't get ahead. What makes one get ahead is working ONE project, consistently, tirelessly, and allowing your light to focus on that one project... not dispersing your light and thus hiding it. But this soul correction is more interested in being needy, being small, and not having to be called to account. Too bad. What a waste! For other soul corrections, visit this page. If you want to know your own soul correction (great guidance!) follow the instructions on that page. Previous Previous post: what is love? how do you go about getting it? what is it buying you? what is love? how do you go about getting it? what is it buying you?